For consumer examples and details of the first candidiate development locality (France) please refer to our public crowdfunding proposition. Should you be interested in getting involved, please reach out to Jacob Jay, jacob@moonmill.com. Targetting 10 properties in 10 years with a valuation at €12m, from profits of €0.6m+/year, and funding of €2.5m. This timeframe could be reduced by bringing onboard an additional cofounder for field management of simultaneous properties during their development. As demand increases the brand and its reputation can expand with a network of similar locations, to a much greater extent than competitors, utilising our low-overhead model that enables successful expansion without the significantly higher costs of metro operators (yet with the disadvantage of slower growth). As the targetted professionals tend to move from one such space directly to their next there is a strong opportunity to leverage a network of spaces, maintaining the customer relationship throughout their journeys. There also exists a strategic opportunity with residential coliving operators in cities as a 'retreat' partner. All these properties do however need extensive work and time to locate for a similar proposition. The model itself can be adapted to more expensive properties such as those in large towns and to new build, which would add variety within a network of locations and further strengthen customer loyalty. Or capital may be increased to reduce the time to market. There would be no intention to operate at the higher market level to compete with other multi-location operators, thus prime city properties would not be considered unless subsidised by local government under redevelopment programmes, or should demand from an expanded customer base warrant locations in second-tier locations which present potential whilst being acessible to primary metros. There also exists poential in some locations to develop properties with a focus on permanent residential coliving, however such opportunities should be persued with a seperate entity. As the model is asset-heavy, it leaves much capitalisation in the properties. We foresee a growing desire to own such facilities by the users themselves and as such expect to be able to sell fractional ownership across the network of properties. This would thus enable the locked up capital to be returned to investors with a corresponding gain from the increased valuation, or to be reinvested for expansion. For consumer examples and details of the locality please refer to our public crowd-funding proposition. Much as coworking gave rise to community-based workspaces, coliving is doing the same for living spaces—both leverage and create benefits from their superior shared facilities, often at a lower individual cost than equivalent traditional approaches, and without long-term commitments. Remote and location-independent work is ever growing and likely to reach a significant majority of the workforce in the coming decades. Online work frees many from the typical single-location approaches to both living and working, thus resulting in their needs being considered together for lifestyle 'geoarbitrage'—the selection of more affordable and novel locations serving work-life balance. These location-independent professionals are often termed 'digital nomads' although the segment includes many other classes of work other than online, such as fitness and wellbeing. Such professionals thus seek locations from which they can both live and work for the mid-term, whether they do it in new location on an ongoing basis, or only as a retreat from their usual base, yet always with the purpose of connecting within communities around the world. 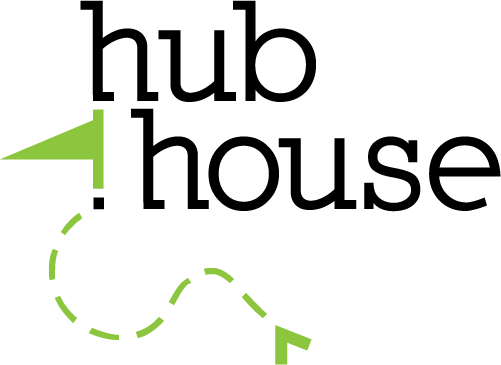 These hubs can also have local community impact, by virtue of drawing outside experience and knowledge to its locality and opening up opportunities to local people, through ad-hoc and serendiptious exchanges, through talks and workshops, or simply tours and events organised by locals. Despite this growing demographic such spaces are presently emergent (a few dozen) and equally split between multi-location brands or immensely varied independent 'lifestyle' operators. It is thus difficult to find trusted spaces to stay and use as a supportive base for work, from amongst these choices. Many potential residents attempt to find apartment and room sublets, or pay the premium for booking on AirBnB. Both of which typically also require signing up for a seperate coworking space. Operators target this segment with differing models. There are the ad-hoc from cruises several times a year (taking 400+ attendees), through year-long programmes that take their participants around the world every month (Remote Year having received 200,000 applicants, for programmes accommodating only 80) to popup villas for a couple of months (AirBnB's free 3-month remote-work sabbatical had 40,000 applicants in 48h). Whilst amongst fixed-location operators there are small apartments with only a couple of bedrooms through to repurposed hotels functioning as higher-end hubs. Due to the size of the market and its growth, and the tendency of customers to travel from one space to another, we do not consider other operators as direct competition. Each new operator increases awareness within the market and each has its own unique offer. To leverage this we are working to establish a shared identity and marketing efforts to reach our guests and residents. Our target is mid-season monthly rent from €280 (single, shared bath) to €790 (studio), yet with seasonal variation of as much as 230% we create an opportunity to really differentiate whilst maximising revenue. Most mid-market operators lack equivalence in specification, but do generally have superior locations (islands and cities versus semi-rural), we therefore position our ensuite rooms against their standard rooms and undercut by around 30%. Some of the independent properties have strong dynamic communities and charge a corresponding premium for this, whilst the larger multi-location brands due to their scale and costs don't invest into their communities in the same way, leaving the proposition primarily focussed around their facilities. We plan to only use properties that support suitably sized communities, enabling us to scale whilst maintaining community, in this manner we may latterly increase our rates to further leverage this combination. A semi-rural property as proposed here for France, makes for an accessible and very well-known destination. Whilst most other operators are in cities, with a mid-market price-point we offer ensuite rooms and an interesting countryside environment for balance. The space would also appeal to the demographic of city-based workers (now the vast majority of the world's population) whom seek to reconnect with the countryside, and can to take their work with them for workations. Demand for more rural locations can but increase as fewer and fewer people have connections to the natural world, making opportunities to live and participate in rural activities desireable, providing it doesn't lack expected comforts and facilities. Our rates versus other operators ensure that our offer is much more competitive for longer stays, providing increased revenue reliability. Furthermore the offer spans customer segments from budget to premium, accommodating many guest profiles under the one roof. An additional 3-month winter season rate discounted 55% is extremely competitive against long-term apartment rentals, but due to a less desirable climate functions mainly as a mechanism for building word-of-mouth awareness and reducing vacancy. During an awareness building phase the rates will be further reduced, and latterly increased as market demand continues to grow. The rate brackets will be adapted per demand and to balance against potential revenue from secondary targets such as nightly tourism guests (B&B) during peak season. Whilst meytro-operators have great difficulting in finding suitable properties, scouting more rural and suburban locations yields a wide variety of properties. Nonetheless those that are compatible with the model are generally buildings historically built as open plan factories yet retaining a local style, rather than more impressive chateaus and historic homes which are difficult to repurpose. The following three options are fairly typical across southern Europe, but we only look at one for further analysis here. A network of properties would have some variety in its offerings. The more expensive, and thus lower yield, yet easiest to access and so a better sales proposition. €550,000 to redevelop and replace two seperate old buildings on a single plot at a well connected town-centre location 30mins on tram from airport and the city. The increased cost would reflect an increase in the customer proposition which remains competitive, although there is potential to add additional bedrooms to cover this. Fibre optic internet is a major benefit but the location lacks easy access to countryside (except coast) and therefore recreational potential. A middle-ground option with an easy proposition. €350,000 to redevelop a 750m2 historic factory building with no major works required except staircase. Location has public transport and climate is reasonable in the winter in pleasant countryside, thus good for recreation. Lower yield due to capacity restriction. Do to being in a village, has potential issues with zoning and the local mayor if not brought on board. The slightly tougher sales proposition due to moderate remoteness yet with the most potential and highest yield from increased capacity. €450,000 to redevelop a large 1,500m2+ historic factory building with a core structure in good condition but in need of outbuilding demolitions and new floors. South facing courtyard and facility to generate energy and heat using both hydropower and solar (with corresponding revenue potential). Offering would be slightly lower cost due to less connectivity (nonetheless 1h from 3 low-cost airports and stations) and cooler winter climate. Very good for recreation. The building presented here is given as a likely candidate and example of what is possible, the images do not represent accurate fitout nor finish. This property is located in a very small quaint if unremarkable town (2k pop.) with basic services including some cafes and restaurants thus acceptable for longer stays. At 1h from a good selection of year-round low-cost airports, stations and larger towns (75k+) it is quite well connected at the expense of typically requiring a transfer by car. Location is on the edge of a natural park providing great wilderness and countryside for adventurous exploring or gentle activities alike, such as along a railway converted as a greenway and a popular summer tourist location. Regional rail connections are possible to Paris (5h15) and Barcelona (3h15) including the drive to the station. (For comparison, the next nearest operator to Barcelona is 6h.). The building allows very good space utilisation, offering a variety of accommodations from a pod dormitory for staff and as a budget option, to ensuite rooms and several generous 35m2 studios. All of course benefit from the coliving principle of fantastic shared spaces — multiple station kitchen and dining, plus seperate kitchenette upstairs; workspace with generous desks for each person, and two living rooms. Besides these there's additional nooks to work or relax around the building as well, including a river-fronted courtyard, and not to forget utility rooms for bikes, laundry and luggage storage by those returning frequently or wishing to use the property as a longer-term base. A significant feature is a large 170m2 open plan event space independent from the rest of the building, which enables events to be held without disrupting residents. For this first location, the founder will invest 15% of the funds, whilst providing a full management commitment for the development, launch and first year, but nominal for oversight thereafter, in order to focus on additional properties. As additional properties are added to the portfolio the parent brand management company could either pool operations under its single entity, or utilise the holding company of each property for their individual operations, maintaining a contract with the parent company as a licensee. Investors will maintain the right to divide and transfer their holding to any person, however the opportunity to utilise the space (offset against dividends) would be subject to membership acceptance as with any other guest (a complete framework for such shall be defined).